Once again Agent Jürgen Vogel is on a mission for the 'Sparkasse'. 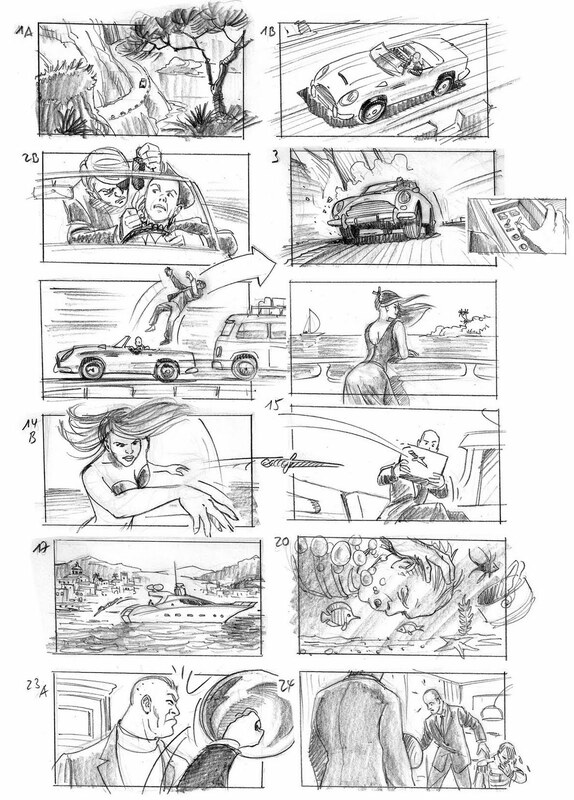 This time I was lucky to do the funny Storyboard for director Sebastian Strasser. 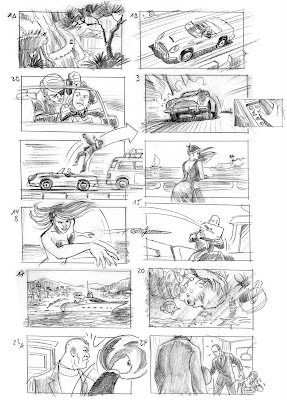 It always has been a dream of mine to once do storyboards for a Bond movie. This was kind of a preparation for that. Here you can see some samples of the classical pencil style frames. The goal was to make them look like the original boards from a sixties movie. This is a rejected, but funny illustration which was ment to be shot by a photographer. The Berlin based event agency 'dreinull' had the idea for a summer-party-invitation of an embassy. But in the end the jumping guy was obviously to edgy for that kind of client.